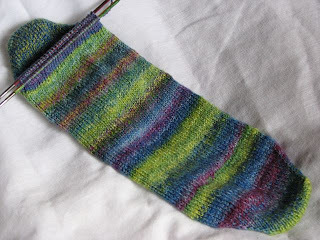 I'm still plugging away on spinning my first sock yarn. 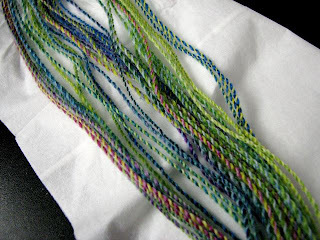 Last night I finished knitting with the yarn that was finished and I'll have a new batch of singles ready to soak soon. 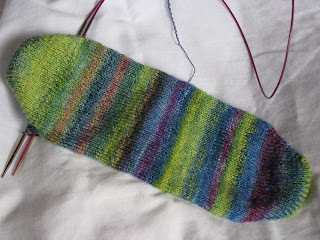 I'm getting 9 stitches per inch and knitting with US sz 1.5 needles, tho the yarn is so fine in places that I wish it was a 1 even a 0.